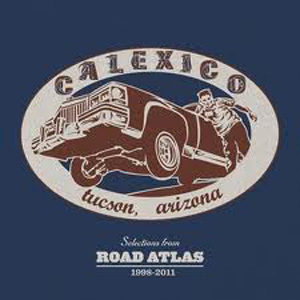 Calexico is closing in on 15 years together as a band, and for most recording artists, that means a lot of accumulated material. As far back as 1998, the band started releasing tour CDs, eight of which they’ve released over the course of their career. This is where the band’s latest release, Selections from Road Atlas 1998-2011 comes into play. The album is a winding 16-track look at the CDs the band released on tour. While it isn’t the full collection of those songs — that’s the much larger Road Atlas 1998-2011 vinyl box set— the album gives a respectable peek into the tracks featured on those CDs. One notable thing is how consistent the band has remained in its sound over the years. Standout tracks like “All the Pretty Horses,” and “Waitomo” showcase the band’s notably smart and sometimes funky take on the alt country genre that’s remained recognizable and familiar despite lineup changes. But for a condensed version of the eight tour CDs, there still is a lot of filler. The album drags on with aimless tracks like “Inch By Inch” and “Entrenando A Los Tigres,” which as minute-long instrumentals feel underdeveloped and out of context on the focused, shorter version of Road Atlas. And although the album might make for a bad place to start for fans, it is a decent and cheaper alternative to the massive Road Atlas 1998-2011 box set for those who are curious but don’t want to shell out the big bucks.